THE MOMENT WE ALL HAVE BEEN WAITING FOR! Cast reveal time is here! 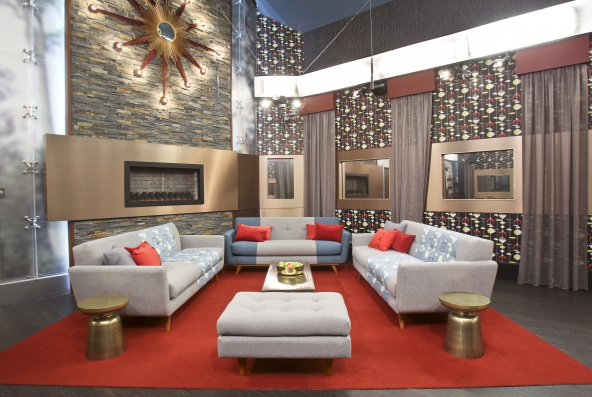 We have teamed up with Big Brother Network this year to bring you the new house guests for the 15 Season of Big Brother! Let us know what you think about them! BIG thanks to our friends at Big Brother Network for letting us use their videos! Who are we suppose to know? Some of the most memorable players have been older without a "I want to be a celebrity agenda"
Elissa's voice is just as annoying as Rachel's lets hope they don't have the same laugh! We don't know Elissa but if you watch the tour of the bb house Julia Chen said a familiar face? Not someone we know. So the familiar face is Rachel's sister. Cassie yes she looks and acts like Rachel but I hope she doesn't have the laugh. I agree. It gets boring with just young kids. When there is a mix, it makes for a better show. Why are all the guys single? Should The House Target "The Beast Mode Cowboy"? Nosebleed maybe? Hilarious! I guess David is part of the Fashion Show!